Home Products Mailing & Shipping Protective Packing & Box Fill Duck® Brand Kraft Paper - Brown, 2.5 ft. x 30 ft.
Duck® Brand Kraft Paper - Brown, 2.5 ft. x 30 ft.
2.5 ft. x 30 ft. 2.5 ft. x 6 ft. 2.5 ft. x 15 ft. 2.5 ft. x 20 ft. This multipurpose brown Kraft Paper is ready for anything, from packing up or shipping out, to crafting and poster making too. Protective and versatile, this paper is handy to have around the house or office to defend your surfaces from scratches or damages during moving and storage. Plus, you can also use it to fill up packaging voids so your belongings stay put in the box. Feeling creative? 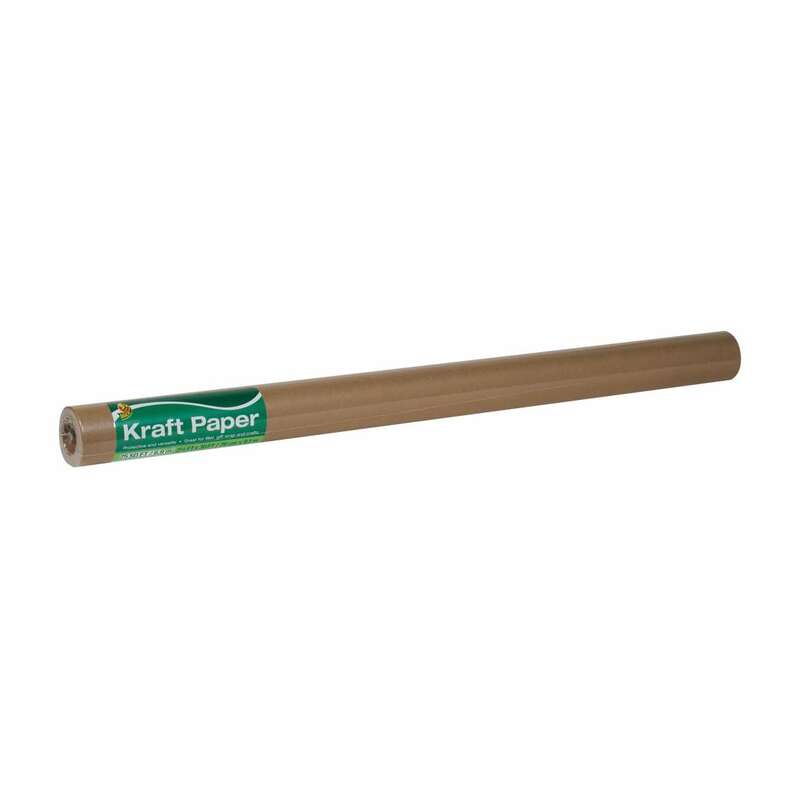 Kraft Paper can also be used for creating personalized, DIY wrapping paper and other crafts, too.